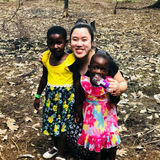 Want to connect with Joycelyn? Hi there my name is Joycelyn. I love caring for children and want to help your family any way I can. Please contact me if you are interested.